The UK has lifted the ban on hydraulic fracturing, but that doesn’t mean it’s going to be a fracking free-for-all: conditions apply. 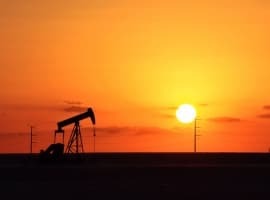 We expected this to happen, once the EU parliament put the brakes on a proposed fracking ban, taking at least some of the heat off its 27 member states who would have been expected—but not obligated—to follow suit. Essentially, fracking entails creating small explosions underground and then injecting water and chemicals to release gas trapped in shale. It has two potentials: to cause unwanted seismic activity and to unlock major natural gas supplies that could result in lower energy bills. For Cuadrilla Resources Ltd it means that the company can now resume test-drilling at its Lancashire plant, which was halted last year because the process caused two minor earthquakes (1.5 and 2.3 magnitude). (This was the temporary death knell for fracking in the UK). The UK—like the rest of Europe—can barely afford NOT to frack. But the public isn’t exactly keen on the seismic activity involved in this energy-bill-lowering process. With that in mind, the UK has done what it views as a compromise: Fracking will be subject to new rules intended to reduce the risk of seismic activity. Of course, the UK has its eye on a major gas prize. Cuadrilla claims that its exploration area in northwest England potentially has more gas than Iraq. Related Article: Booming U.S. Natural Gas Production to Export LNG to Thailand? More specifically, Cuadrilla thinks there could be 200 trillion cubic feet of shale gas under the company’s 900-square-kilometer Lancashire concession. To the put in perspective, a mere 10% of this could supply the UK for seven years. No one has any idea yet about commercial viability—which also means that talk of lowering energy bills is a bit premature. Not only has the UK green-lighted fracking, it is also using tax breaks to promote shale exploration and development. Indeed, the UK hopes to see a shale gas revolution of its own. So what are the new rules for fracking? 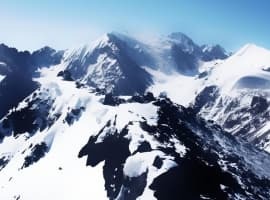 Right now it’s still a bit vague, but overall it involves a strengthening of oversight and an automated seismic activity detection system designed to halt operations in time. 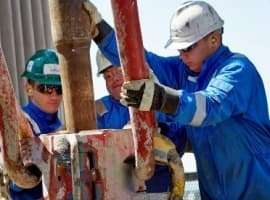 Environmentalists feel it is still too early to be green-lighting fracking, in the absences of a sound environmental impact study. It’s not only earthquakes that have the public worried—it’s the potential to poison drinking water. We’re not banking on most of the rest of Europe following the UK’s lead too readily, though. France has banned fracking, and Bulgaria has placed a moratorium on new drilling. Poland—desperate to get out from under Gazprom’s gas grip—has never played along with the EU’s anti-fracking efforts, though. 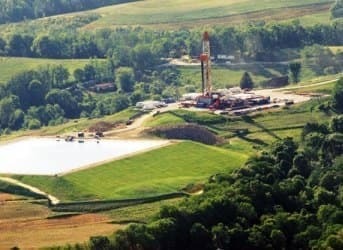 Romania’s fracking fate is soon to be decided. The country has placed a moratorium on fracking for now, but last weekend’s elections should take some of the heat off a new government (meaning, they won’t care as much what the public thinks now that they’re securely in office).